Get ready for yet another groundbreaking, exclusive and exciting performance as Florence and The Machine comes to Concord Pavilion on Wednesday 15th May 2019! The incredible band sure know how to blow a crowd away with their fairytale inspired displays on stage, along with their raw and emotive music. Come and be a part of the special night this Spring concert season – tickets available now! Where to start with Florence and The Machine?! With their full power performances, these guys have transformed music as we know it and given a whole new light to what goes into a live show. So it's no wonder that this has had critics and fans going crazy and following their every move. Well this Spring time you can join in the hype and be in the crowd as Florence and her band takes to the road across North America! This next year ahead is set to be another great one for Florence and The Machine and they bring their indie rock sounds to the stages on tour, fans all around can't wait for the moment when they light up each arena! 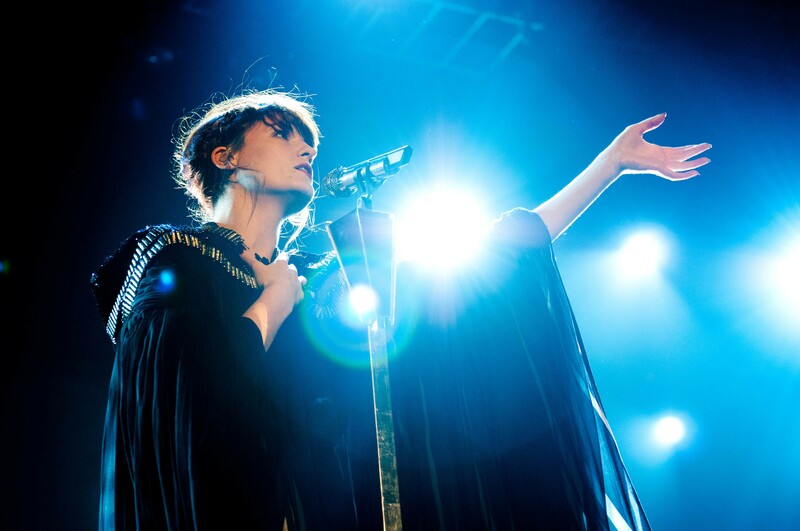 In 2007 Florence and The Machine first came to light and gained nothing but the biggest amount of positive feedback from their newly found fan base and critics alike. As the UK went crazy for their unusual and catchy songs, the BBC grabbed them while they were hot and gave them a performance through their BBC introducing stage, within just a couple of years they were receiving a brit award for their on stage charisma and that same year saw the release of their first ever album. Lungs was a triumph and took to the UK charts, making it to the number 2 position for a few weeks in a row. The next year these guys were more than ready to create and produce another album and that's when Ceremonials began to churn out even more success, this time North America was raving about it and the record came in at number six on the US charts. With their third album, How Big, How Blue, How Beautiful, they rocketed the charts once again and the album was an instant success, not just in the UK and the US but in a total of eight different countries around the globe! Florence and The Machine were now a well established group and a worldwide success and in 2015, they performed a huge performance at the UK festival, Glastonbury. With a total of six Grammy nominations under their belts – it's pretty clear that from the get go Florence Welch and her band had an enormous amount of talent that has shone through. Back on their US tour titled 'High as Hope' Florence and The Machine are ready to bring their sensational sounds to the stages across the states… don't miss out – book your tickets while you still can!